Chilling in the pool and soaking up the sun is in your near future. 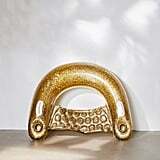 What better way to fulfill your summertime destiny than to choose your new go-to pool float. We have one just right for you. 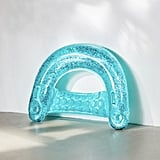 Urban Outfitters is selling a Glitter Chair Pool Float ($24) that is reminiscent of the early 2000s glittery blow-up chair you probably had in your room. 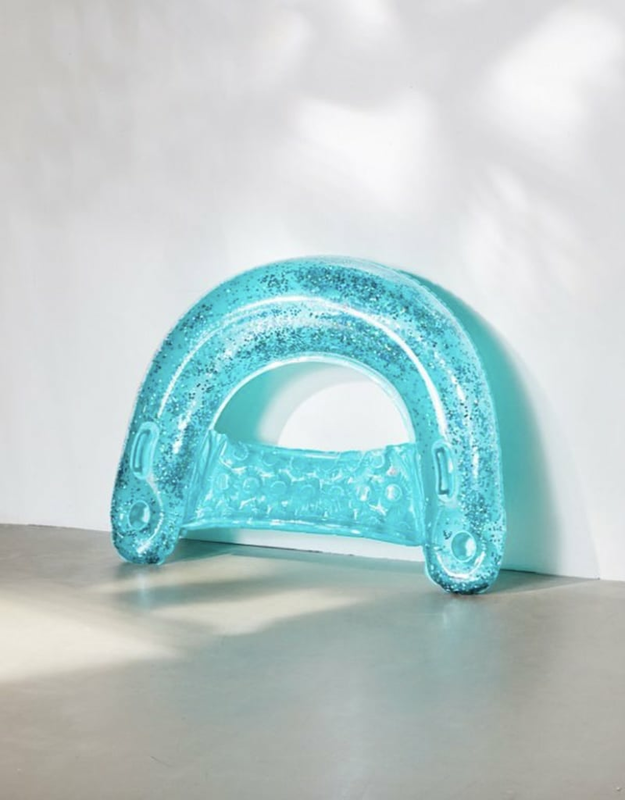 This dazzling pool float is sure to be a sunny day stunner with its glittery lining and three vibrant color choices: turquoise, rose gold (my personal favorite), and gold. This amazing sling chair was made for ultimate relaxation with its curved back, sling to rest your legs on, and even dual cup holders, so you can sip your favorite cold beverage in style.